Another new feature are the spectacular overseas operations in the Antarctic and the near East, which present the player with completely new challenges. 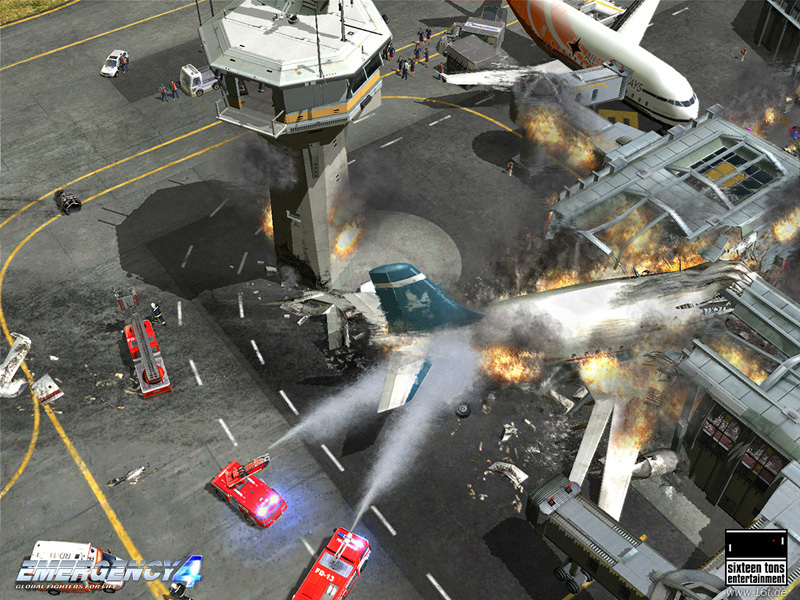 The sheer number and rich variety of the game's 20 missions represent a new standard for this genre. The scenes range from medical emergencies to road accidents and large-scale fires, and culminate in earthquakes and floods. Whether the job involves rescuing casualties, fighting fires or preventing and resolving acts of terror, or introducing the right emergency processes in a catastrophe (with the help of the virtual supervisor of course) the "Save Lives!" motto is always foremost in the player's mind. These elements make Emergency 4 different to nearly all other real-time strategy games. The game is also benefited by a multiplayer mode and improved controls. em 3 was a great game.